The matrix line is a collection of contemporary tabletop items whose concave and convex sides engage with one another to form an infinite number of configurations. 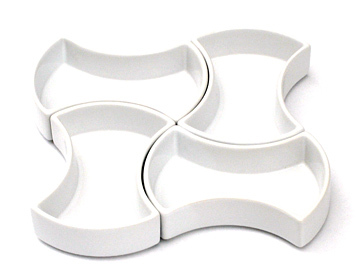 The bowls are stackable for easy storage. All items are dishwasher, microwave, and oven safe. Made of ceramic, porcelain.